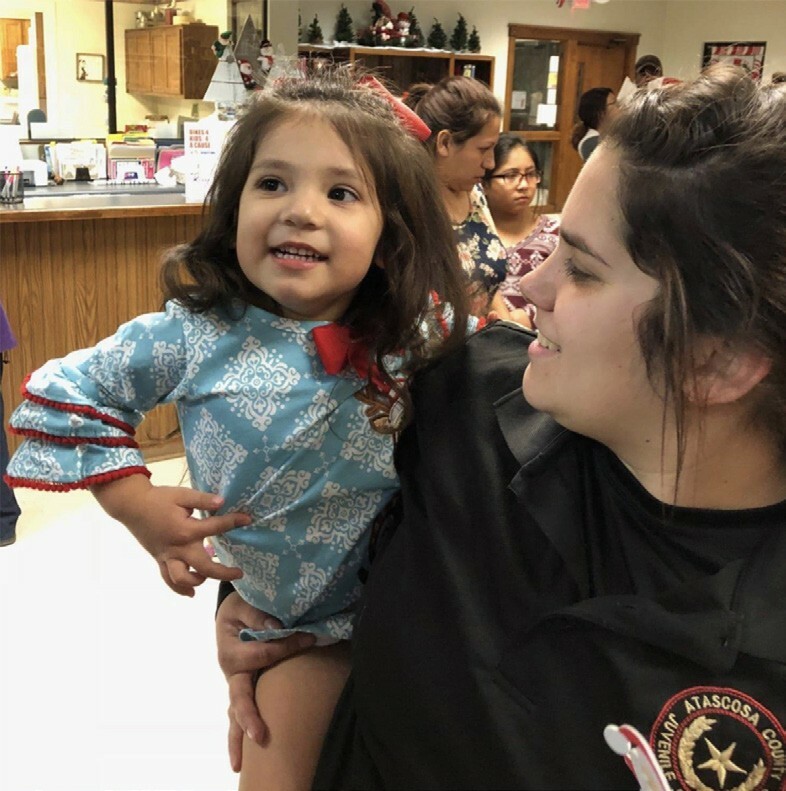 On Monday, Dec. 3, the Jourdanton Police Department joined the Jourdanton Chamber of Commerce, the Atascosa County Sheriff’s Office, the Jourdanton Volunteer Fire Department and numerous city, county and district elected officials at the Jourdanton Community Center, for the lighting of the Atascosa County Courthouse. Santa was delivered by the Jourdanton Volunteer Fire Department and over 150 kids lined up to meet him. 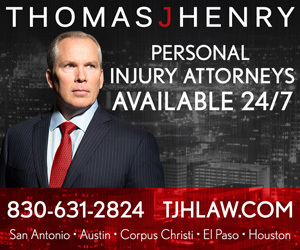 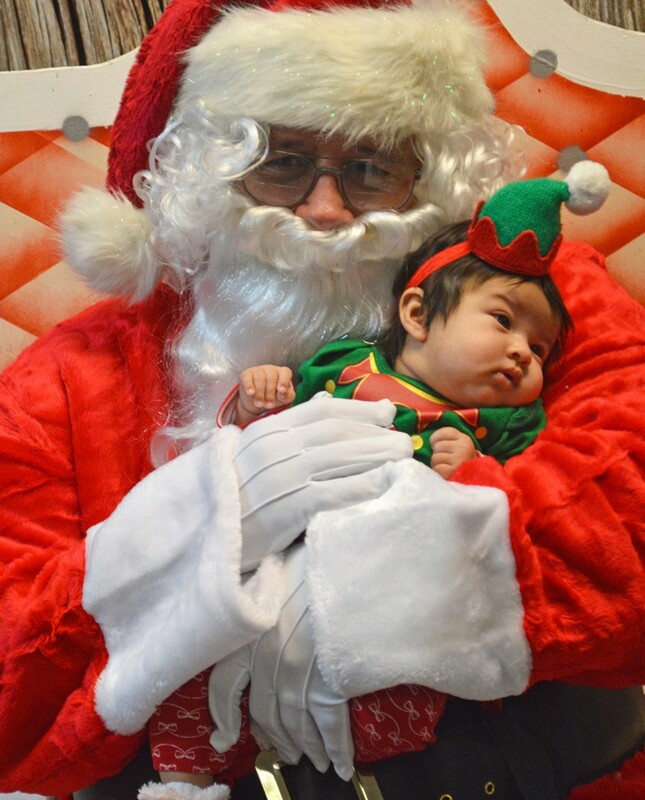 Thank you to all those who sponsored this event and volunteered to make it such a success! 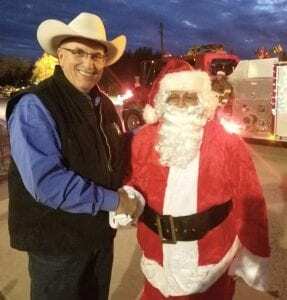 Photo at right, Atascosa County Sheriff David Soward and Santa. 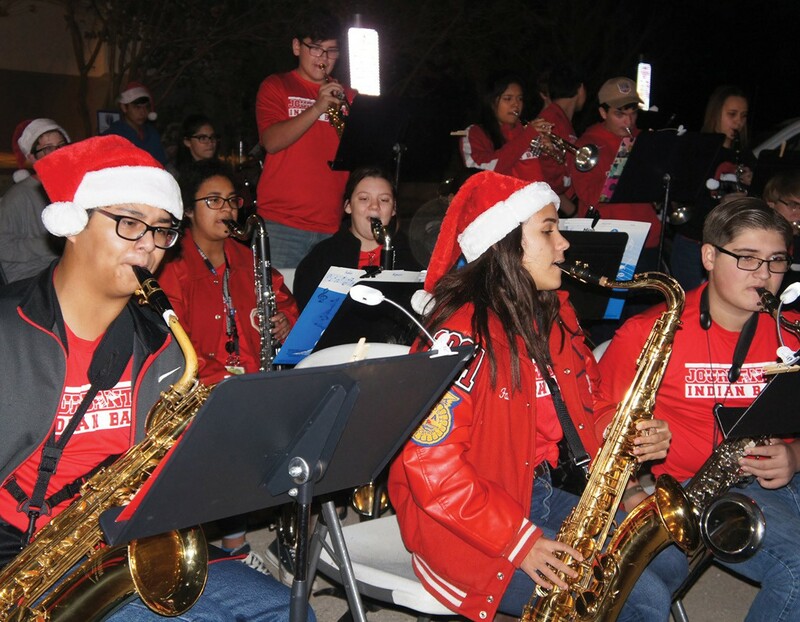 The Jourdanton High School Jazz Band performs for the crowd. 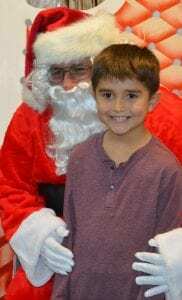 Ethan Kaiser visits with Santa. Addy Martinez and Michelle Miller.